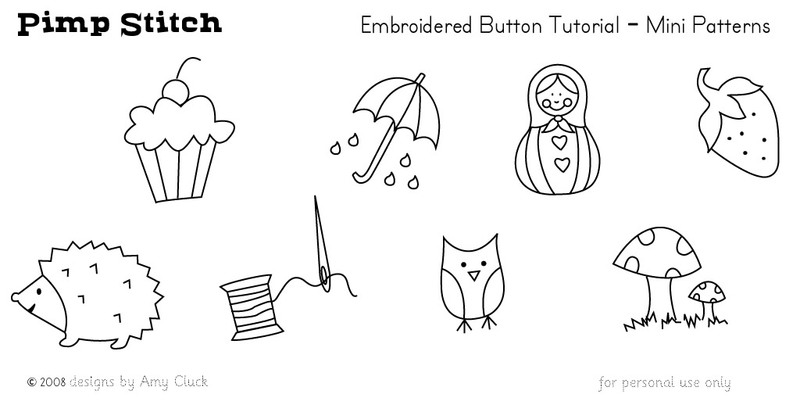 This past month, I participated in the embroidered button swap organized by the blog Feeling Stitchy. For my swap partner, Adaiha, a lover of woodland creatures, bright colors, and vintage material, I made a set of six buttons featuring a little owl. I used a combination of vintage turquoise and yellow gingham fabric for the buttons' backgrounds, and embroidered the six little owls in black floss. I initially spotted the adorable owl on this set of coasters, and eventually traced the pattern back to Pimp Stitch. I put a few other goodies in Adaiha's package, including a few vintage sewing supplies, as well as some chocolates. Pictures of my lovely buttons from Adaiha (and a few other awesome goodies!) to come later this week.